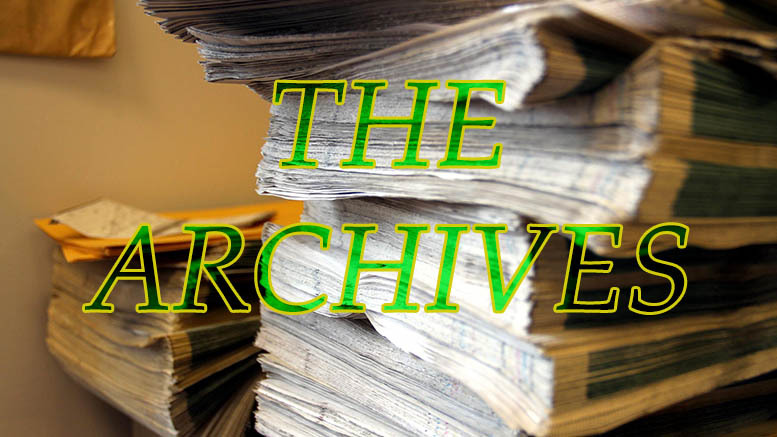 Although this Homecoming took place over 70 years ago, some of the events that were customary back then are still part of Homecoming at the 150th anniversary of McDaniel. Sports events, such as a football game, are a big part of Homecoming. In 1960, the events of homecoming opened with a parade of floats, all of which were part of a contest as a part of the homecoming festivities. This page from the archives is full of pictures of student participating in homecoming activities. 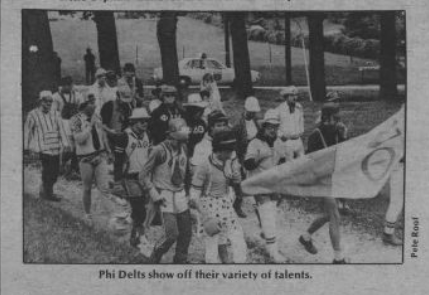 Although McDaniel no longer has a parade down Main Street, some of the same student organizations were present on campus that continue to attend homecoming, such as Phi Delta Theta. 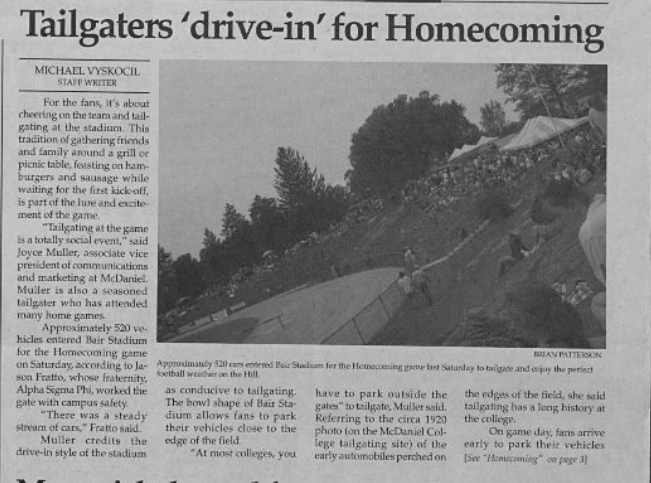 From a 2004 edition of the McDaniel Free Press, the enduring importance of the tradition of tailgating at McDaniel can be seen.